On September 30th, ASBM presented a 5-hr Continuing Education (CE) course for more than 75 New York area pharmacists. The majority of these attendees were drawn from community pharmacy practice, with a smaller number practicing in health system pharmacy. ASBM’s expert panel, from left to right: ASBM Advisory Board Chair Philip Schneider, MS FASHP FFIP; ASBM Chair Madelaine Feldman, MD FACR; ICAN’s Scott Kahn, PhD; PAREXEL’s Partha Roy, PhD; and Chapman University’s Daniel Tomaszewski, PharmD, PhD. 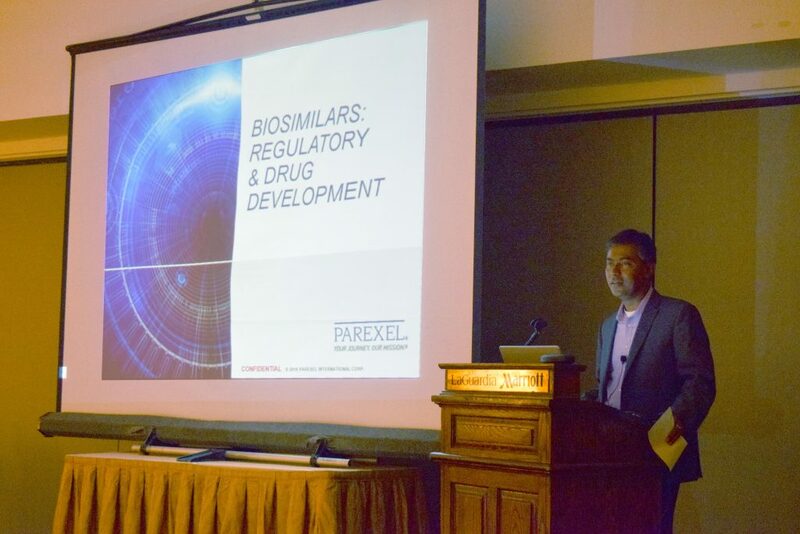 The CE course was presented in conjunction with The Arnold and Marie Schwartz College of Pharmacy at Long Island University (LIU-Pharmacy) This was the third time ASBM has presented a version of this course with LIU-Pharmacy, the first being in 2015 as the first US biosimilar was being approved, the second in 2016, by which time four biosimilars had been approved. The course began with introductory remarks by Joseph R. Bova, M.S., R.PhI, Director of Continuing Professional Education for LIU-Pharmacy. Mr. Bova then administered pre-course learning assessment questions, which were designed to gauge the audience’s pre-existing knowledge of an familiarity with biologics and biosimilars. For example, one question asked how many biosimilars were currently approved in the US- none, four, twelve, or thirty. (Today 12 biosimilars are approved, though only 4 are currently being marketed.) Another question asked whether biosimilars were inherently interchangeable with their reference product; they are not and must be approved as interchangeable by FDA. In the first presentation, Dr. Schneider begins by explaining what biologic medicines are, how they were developed and approved, and how they are used to treat serious conditions including rheumatoid arthritis and cancer. He then explains safety, storage and handling considerations that result from the greater size, complexity, and sensitivity of biologics, relative to small molecule drugs. He follows with a discussion of biosimilars, discussing differences between biosimilars and chemical generics- chief among them that biosimilars are not identical but only similar to their reference products. Schneider then examines the need for clear product identification with biologic medicines, including biosimilars, and shares perspectives from regulators, national pharmacist organizations, and surveys of pharmacists regarding possible naming conventions for biosimilars. In this presentation, Dr. Feldman discusses physician perspectives on four key policy biosimilar policy issues affecting medical and pharmacy practice: Naming, Interchangeability and Substitution, Non-Medical Switching, and Increasing Biosimilar Uptake. Dr. Feldman began with a discussion of ASBM, its surveys and its work bringing the patient, physician and pharmacist perspectives to regulators worldwide. This includes ASBM’s history of participations in the WHO INN Consultations and its recent discussion forums on biosimilar naming in which the WHO, FDA, and Health Canada participated. 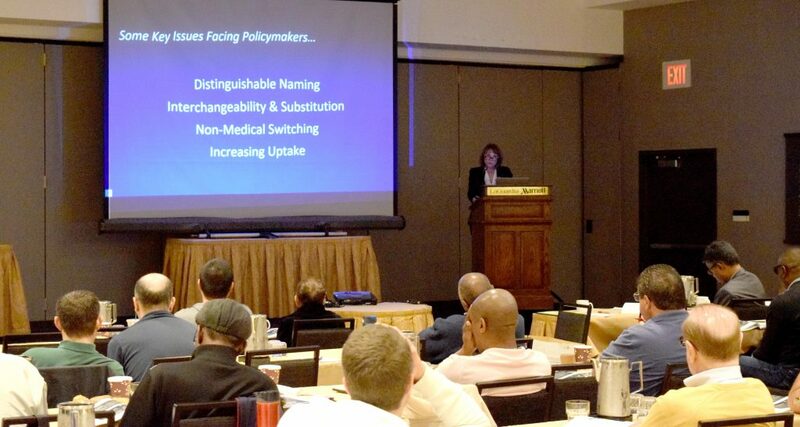 Regarding naming, Dr. Feldman discussed the importance to physicians worldwide of distinct naming for all biosimilars. Support varies from 66% to 94% depending on country and region. She noted that significant percentages of physicians globally use the nonproprietary name when recording the prescribed biologic medicine in the patient record, which could result in the patient receiving the wrong medicine. Similarly, significant percentages of physicians worldwide use only the nonproprietary name when recording adverse events; which could result in misattribution. 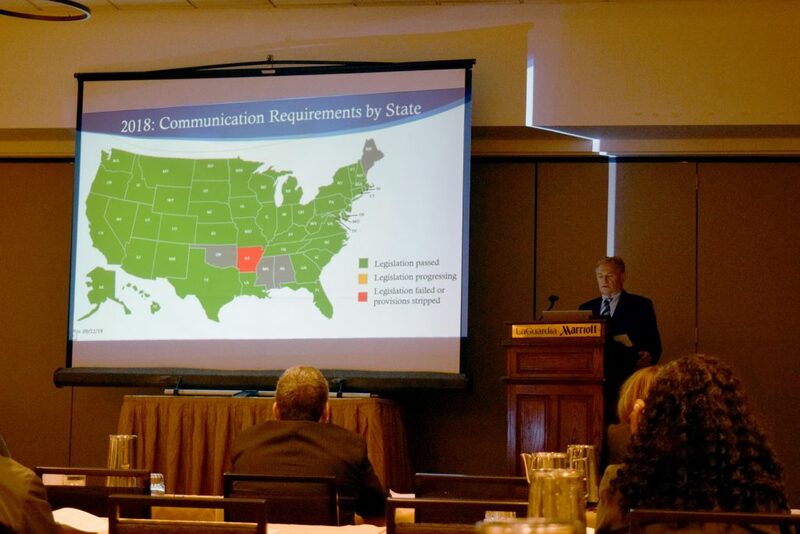 Regarding substitution, Dr. Feldman emphasized the importance to physicians of communication from the pharmacist in the event of a biosimilar subsitution; and of retaining the authority to prevent a substitution they deem medically inappropriate by using “dispense as written” (DAW). She also clarified that the U.S.-specific standard of “interchangeability”-applied to biosimilars suitable for pharmacy-level substitution- is not intended to be transitive. That is to say, even if biosimilar A and biosimilar B are both interchangeable with the same reference product, they are not interchangeable with each other. Dr. Feldman discussed physician concerns with the non-medical switching of patients on biologics- switching these patients’ medicine for non-medical reasons. This is typically done by an insurer or PBM for cost or other financial reasons. Treatment decisions, including which biologic to use and if and when to switch, should be made by the patient in consultation with his or her healthcare team, rather than a third party payer. Finally, Dr. Feldman discussed ways to increase biosimilar uptake- including the physician’s cautious approach to choosing a medicine. Data showing safe use and safe switching of stable patients, she noted, are critical to building physician confidence. Distinct naming also reassures physicians that these products can be used safely and their effects tracked accurately. Yet many of the obstacles to biosimilar uptake are commercial, and more approvals and lower cost does not translate to greater access for patients. For example, while 12 biosimilars are approved, only 4 are currently available. Also, manufacturer rebate arrangements mean that PBMs may not give the lowest cost product preferred placement, posing a further barrier to uptake. View Dr. Feldman’s presentation here. In this presentation, Dr. Schneider discussed considerations in the naming of biologics, including biosimilars, and the benefits of distinct naming. He discussed naming systems in use around the world, including the FDA’s four-letter suffix system, and the WHO’s proposed biologic qualifier or “BQ” system, which would also use a four-letter suffix if implemented. He explained the various positions of national pharmacy organizations on naming, and shares survey data from ASBM and the Academy of Managed Care Pharmacy showing strong support among US pharmacists for distinct naming. He also discusses the benefits of and progress toward international harmonization of biologic nomenclature, including ASBM’s work with the WHO’s INN Programme. 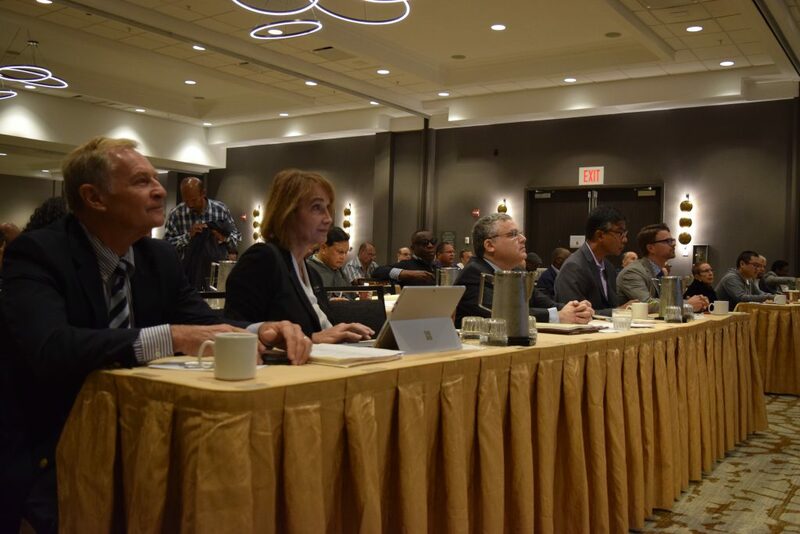 He highlighted perspectives gathered at ASBM’s April and July 2018 forums at which FDA , Health Canada, WHO, and other stakeholders met to discuss the need for harmonization. Finally, Dr. Schneider discussed his work with the International Pharmaceutical Federation (FIP) which has begun addressing the issue of distinct biologic naming in its policy guidelines and its educational sessions. 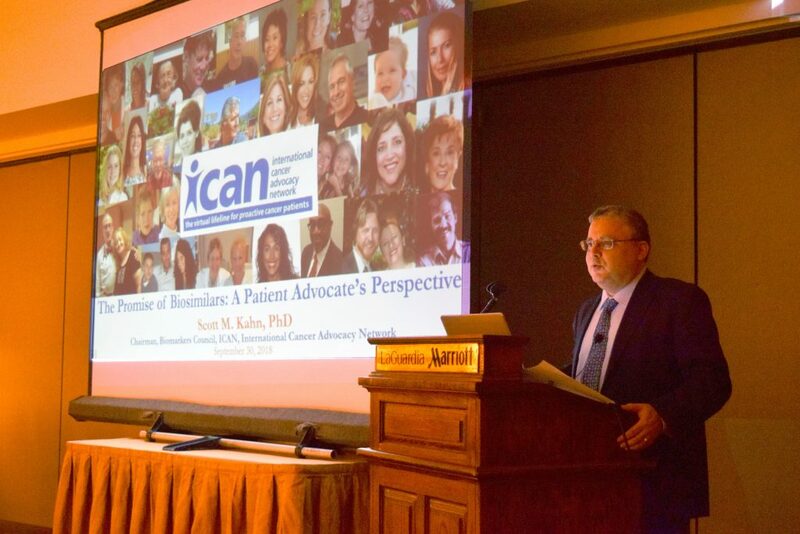 In this presentation, Dr. Scott Kahn presented the patient advocate’s perspective on biosimilars. The patient advocacy community, Dr. Kahn explainsed, is very excited about the promise of biosimilars. He emphasized the value that biologics have brought to patients in terms of increasing lifespan and quality of life. Biosimilars, Kahn explained, will increase access to biologic therapies, offer new therapeutic choices to patients, and lower healthcare costs. But, he cautioned, patients have certain expectations of their policymakers and health care providers. For example, they expect that biosimilars are held to the same standards of purity, safety, and efficacy as their reference products. Also, they expect that the health and safety of the patient, rather than any potential cost savings, remains the focal point of any biosimilar policy. Finally, they expect to retain, with their healthcare team, control over treatment decisions. Dr. Kahn emphasized that patients have strong reservations about the prospect of Non-Medical Switching-by third parties such as a private insurer, PBM, or government agency-which could cause stable patients to lose control over their disease. Finally, Dr. Kahn turned to the importance of the pharmacist-patient relationship, calling pharmacists “the last line of defense” in a chain of patient safety that begins with the researcher and continues through the manufacturer and the regulator, and ultimately ends with the patient. View Dr. Kahn’s presentation here. In this presentation, Dr. Roy laid out in great depth the biosimilar evaluation and approval process. This includes such considerations such as analytic and clinical evaluation, interchangeability, and indication extrapolation. 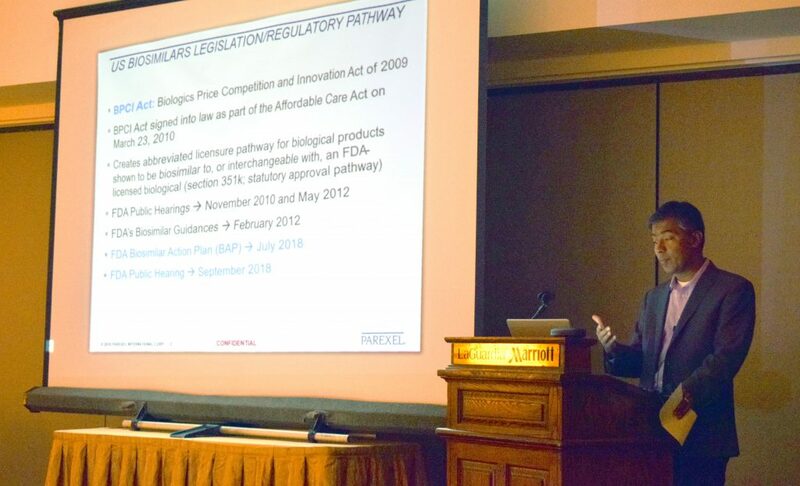 Dr. Roy also discussed the current regulatory environment surrounding biosimilar approvals, including a regulatory history of the U.S. biosimilars pathway, which has its origins in the Biologics Price Competition and Innovation Act of 2009 (BPCIA) which laid the framework for U.S. biosimilar development. He discussed the definition of biosimilarity set by the BPCIA, and outlines how the totality of clinical and non-clinical evidence is used by the FDA to determine biosimilarity. He then examined in detail how biosimilars are evaluated, including trial design, biosimilar trial recruitment challenges, PK and PD studies, factors that impact immunogenicity, and clinical considerations. 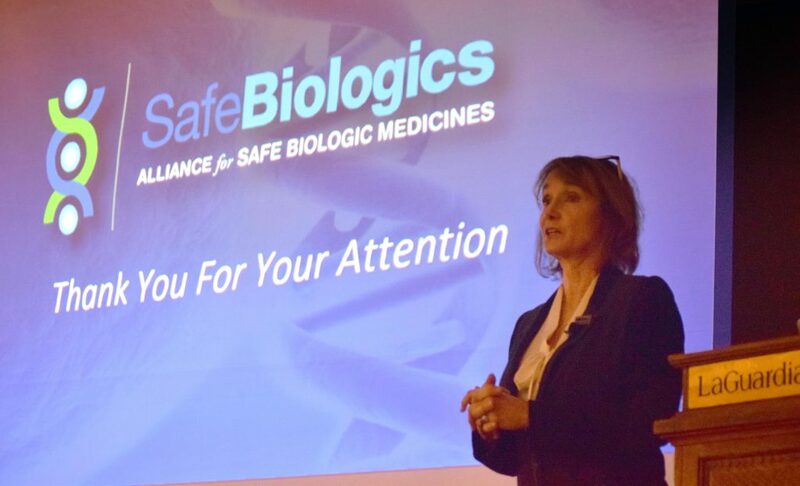 Dr. Roy’s presentation concluded with discussion of concerns regarding the so called “transtition” products- biologic products that in 2020 will transition from being follow-on biologics approved under the (505) pathway to the (351) pathway, either as stand-alone biologics or as biosimilars. View Dr. Roy’s presentation here. The next presentation was given by Dr. Schneider, and dealt with biosimilar substitution policy in the United States. Dr. Schneider emphasized that while Congress sets the legal definition of interchangeability, and the FDA makes the scientific determination of which biosimilars are interchangeable, it is the individual States that govern when and how a pharmacist can substitute an interchangeable biosimilar. Following a brief discussion about substitution policy globally (including Canada, the EU, Latin America, and Australia) Dr. Schneider spoke about the evolution of biosimilar substitution legislation in the US. 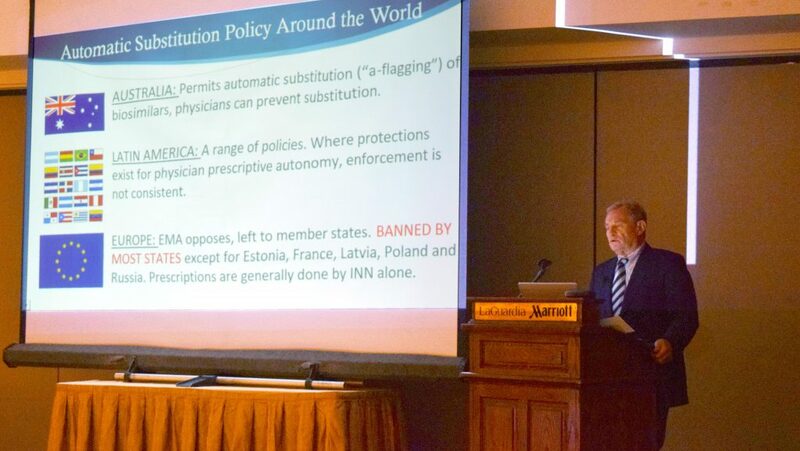 He focused his discussion on laws passed by 45 states and Puerto Rico which require a pharmacist to communicate to the prescribing physician which product- the originator or the biosimilar- was actually dispensed to the patient. These states also allow a physician to specify “do not substitute” or “dispense as written” in order to prevent a substitution they consider medically inappropriate. Dr. Tomaszewski answers a question from the audience during Q and A. Following the presentations, the speakers answered questions in the audience. The program concluded with Post-Course Learning Assessment questions, again administered by Joseph R. Bova, M.S., R.PhI, Director of Continuing Professional Education for LIU-Pharmacy. Responses showed improvement in the knowledge of biosimilars, with nearly all attendees correctly answering the questions posed previously, demonstrating increased familiarity with biosimilars. “Biosimilars are structurally identical to their reference product”. 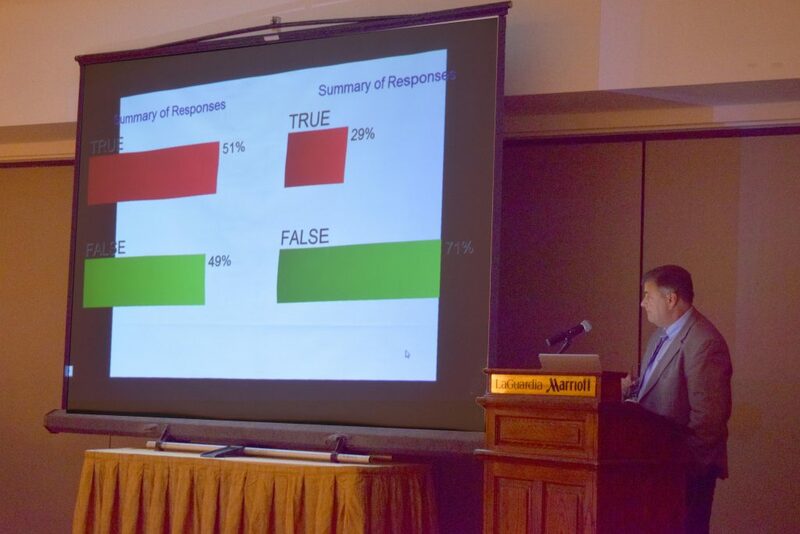 Before the course, the audience responses were evenly divided between “True” and “False”.. Afterward, 71% answered correctly that the statement was false.